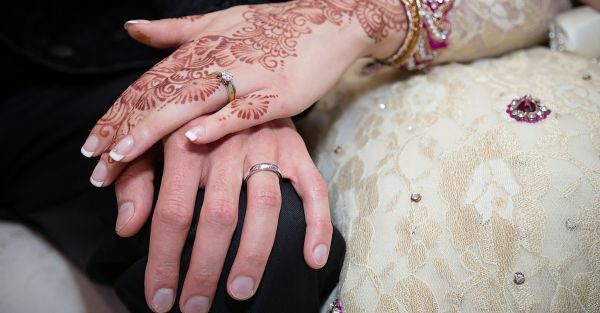 #MyStory: From Rishta Meeting To… A Romantic Night Together! Someone has rightly said: all that matters is a simple click with someone, and you fall for the person, even when least expected...! Similar is my story of how I got the love of my life. It was an arranged marriage setup in which I was meeting a guy, and honestly I was unsure at the moment whether he would be the one for me. Both of us didn’t give any yes or no answer to our families and simply asked for more time to get to know each other before jumping to the final decision. We then chatted late at night, talked for long hours and finally met on my birthday, when he proposed me way too romantically. I can now say that it was the best birthday by far. We had fallen for each other by now, and we formally got into a relationship on my birthday. We both gave our answers to our families and there were happy cheers back at our homes. Meanwhile, we both became closer and closer with all those late night talks and romantic messages. One odd day, I went on a drive with him. When our car was in a parking lot somewhere, he asked me for a hug. It was the first time that we both came so close to each other physically and it was a long, dreamy hug. When we separated, our lips were way too close…and he came even closer and placed his lips on mine very gently. Oh God!! It was our first kiss, and a hell of a romantic one! <3 Also read: #MyStory: From “Friends With Benefits” To… Husband And Wife! Our roka date was finalized soon. But before its finalization, we planned something even more exciting to bring us closer to each other. It was a night out for the two of us, just after the roka ceremony. Yes, you read it right - an intimate night out together for a couple who met through the rishta setup! We had booked a hotel room for our night together. We lied to our families about having an overnight office event and arrived at the hotel together. After entering the room, we sat together on the bed. Of course, there was a slightly awkward silence because we were both hesitating a bit - this was completely new for us, after all! Although we had become so close to each other over calls and meetings, there was no denying the fact that we did not know each other for very long. I was feeling really shy and didn’t know what to do - but then he came close to me and gave me a hug, which helped me feel less nervous. In order to break the ice, we started with a discussion of our roka ceremony that had happened the day before. Gradually, we managed to create a comfort zone. Soon after, we got together beneath the quilt and romance lit up! We kissed, we hugged, we cuddled each other. His hands slipped underneath my clothes, and that gave me quite the rush inside! I unbuttoned his shirt and he pulled off my top...in no time at all, we were naked in front of each other! Our shyness had disappeared completely by this time - we were way too involved in discovering each other’s bodies! Also read: #MyStory: We Made Love The Night *Before* Our Wedding! And that’s how we made out for the first time, and it was SO amazing. When we had finished, we laughed together saying that we must be the first couple in an arranged marriage setup who were lying naked next to each other just the day after their roka ceremony! I had little clue that arranged marriage romance even existed! We are now a happily married couple who have made out too many times to count, but we can never forget how we felt on the night of our very first makeout session...! Images: Shutterstock Have a story you’d like to share? Just drop us an email here with your story – don’t forget to put #MyStory in the subject line. We’ll get back to you about whether we can feature it.